I reprint below an excellent briefing by Professor Allyson Pollock and colleagues on key clauses of the Health and Social Care Bill. The confusing mixture of ‘person-based’ and ‘area-based’ arrangements for patients (and consequently funding arrangements – something I’ve brought up here before). Clause 10 is an essential part of the Bill’s intention to change the current constitutional foundation of the NHS, which during the Committee debate on Clause 1 the House of Lords decided to put off for further consideration. The Clause would remove the Secretary of State’s duty in section 3 of the National Health Service Act 2006 to provide key listed health services to meet all reasonable requirements throughout England, and would remove area-based responsibilities. This is the duty which guarantees to people in England comprehensive national health coverage, and which devolves down to area-based primary care trusts (PCTs). Some specified services have to be provided for the benefit of everybody, PCTs have to get everybody onto GP lists, and a stable denominator for needs assessment, and resource allocation and monitoring of inequalities is ensured. These characteristics have stood the test of time. In its place, Clause 10 would give us scores of Clinical Commissioning Groups (CCGs), bodies responsible for persons on lists and other persons usually resident in unclear and potentially non-contiguous areas. No specified services would clearly have to be provided for everybody, except arguably emergency care. No body would have to get everybody onto GP lists. There would be a power to exclude persons from the health service. GP lists result in inherently problematic denominators for resource allocation, and needs assessment and monitoring of inequalities. In addition, Clauses 8 and 9 would in effect excise from section 3 ‘public health functions’, such as immunisation, screening and health promotion. These PCT services would not therefore have to be covered by CCGs. But the provisions of Clauses 8 and 9 are particularly opaque, the interface with Clause 10 is very unclear, new charging powers are also proposed (in Clause 47) for these presently free services and, according to Earl Howe, where they are commissioned by local authorities they would not be part of the NHS. The first two versions of the Bill did not refer to CCG areas in this Clause. It was only in response to criticisms of the government’s intention that CCG areas became inserted in order to cover usual residents not on GP lists and emergency care. Responding to these criticisms by ‘patching-on’ these two types of area-based responsibilities to a person-based system has produced a confusing hybrid responsibility base, which is neither coherent nor designed to deliver comprehensive coverage, and which most certainly is not the equivalent of a PCT. At the moment, there are only two tabled amendments to Clause 10, in the name of Baroness Thornton and Lord Hunt of Kings Heath (Amendments 76 and 77). These amendments would delete Clause 10 entirely, retain section 3 of the 2006 Act in its entirety, and add a new Clause which would give CCGs the duty to arrange provision for all persons usually resident in their area and, as regards, urgent and emergency care, for everybody present in their area. (1) Amendments 76 and 77 are supported, as far as they go. • Why should CCG responsibility not be area-based? • If it cannot be area-based, why is CCG responsibility for persons not made definitive on the face of the Bill? • Who, in future, will have the task of ensuring all residents and temporary residents can be registered with a local GP? • What will happen if GPs refuse to accept, or strike off, patients? • Who will allocate problem patients, and patients with learning difficulties, severe disabilities, or complex mental health or physical health problems? What about asylum seekers, and the homeless and those of no fixed abode? • Why is emergency care to be covered by regulations, not on the face of the Bill? Why are accident and ambulance services not mentioned? • Will any of the other services currently to be provided under the NHS Functions Regulations for the benefit of all people present in a PCT area have to be arranged by the CCGs? It is intended that some services will move with public health services to local authorities, but the government should explain, category by category, what is to happen, and why is each of these services not also on the face of the Bill. • Why is it necessary to give the government the power to exclude some persons from the health service (new section 3(1D))? • More specifically, what categories of primary service provider does the government wish to be able to exclude from the health service? For example, new section 3(1D) would allow the Secretary of State to make regulations which took out of the health service persons receiving medical services under Alternative Personal Medical Services contracts – the one of the three basic GP contract types which is open to multinational health companies, such as United Health. • How will the government prevent charges being made for services that are currently free for pregnant women, women who are breastfeeding, young children, the prevention of illness, the care of persons suffering from illness and the after-care of persons who have suffered from illness? • What services will local authorities be expected to provide in terms of immunisation, child health services, public mental health services and other services as yet to be identified? How will these be defined and commissioned? 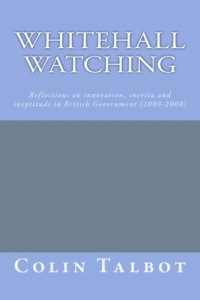 • How will public health monitoring be ensured? • How will the interface between public health in local authorities, the National Commissioning Board and CCGs operate when the populations are not contiguous and area-based and the responsibilities and resource allocation mechanisms so unclear? The reasoning behind this summary and our recommendations is set out in the Appendix. The problems with Clause 10 arise from the substitution of the Secretary of State (and, through delegation, PCTs) by CCGs. Firstly, the Secretary of State’s duty to provide is throughout England, and the PCTs and strategic health authorities are area-based, and these areas are contiguous. The CCGs will be ‘person-based’ or ‘group-based’, largely drawn from GP registrations, but neither the area nor the population are clearly defined. CCGs are supposed to cover all of England (Clause 22: new section 14A(2)), but there is no requirement that within the CCG all their patients live in one particular area, so a CCG area can comprise (say) a part of London, a part of Hampshire and a part of Cumbria. It is impossible to see how planning, monitoring of needs, and equity of access and service use can be safeguarded when the populations are segmented, fragmented and dispersed in this way. In effect, now, the entire population of a given area is covered by the NHS and PCT areas are contiguous. In future, this will not be the case: it will depend on what each CCG decides. Under current plans the resource allocation formula will change from an area-based formula, to one based on GP registrations (GP lists) with all the problems that will bring. These problems which are well documented include, unstable denominators and numerators due to enrollment, disenrollment of persons and turnover of patients, complex risk adjustment methods, and incentives to risk select or cherry pick. This will adversely affect public health functions including the measurement of access to services, health service needs and equity of resource allocation and funding. Clause 10, in conjunction with Clause 1, will therefore mean that patients in one particular area will not be provided for in the same way that they are at present. Secondly, each CCG will decide for itself what the reasonable requirements for services of those persons registered are. They will also decide (Clause 10(2)(b)) what services or facilities are appropriate as part of the health service for the care of pregnant women, women who are breastfeeding and young children (section 3(1)(d)); and for the prevention of illness, the care of persons suffering from illness and the after-care of persons who have suffered from illness (section 3(1)(e)). These two discretions given to each CCG mean there will be different provision for different patients with similar needs, depending on each particular CCG. The government says that this is the case under the PCTs now. But the crucial difference is that currently the core legal and unifying duty of the Secretary of State under section 3(1), linked to section 1(1) by section 1(2), is still in place. Currently everything stems from the Secretary of State’s duty to provide. In future, it won’t. Thirdly, because of the Secretary of State’s duty to provide, the PCTs are in effect responsible for everybody in their area, underpinned by the resource allocation formula. This will change, and what will happen in future is unclear to us. Under the NHS Functions Regulations, PCTs must make sure services are provided for people on GPs lists, and for persons usually resident in its area, or resident outside the United Kingdom who are present in its area, and who are not on GPs’ lists. And under, for example, The National Health Service (General Medical Services Contracts) Regulations 2004, the PCTs prepare and maintain GP lists, and can assign patients to them, subject to a dispute resolution procedure. In other words, although there is never 100% coverage, the intention is that the PCTs ensure that all residents within their geographic area obtain access to GP services and are registered with a GP. PCTs must also ensure that certain specified services must be provided for the benefit of everybody in a PCT area, namely (i) accident and emergency services and ambulance services, (ii) services provided at walk-in centres, (iii) facilities and services for testing for, and preventing the spread of, genito-urinary infections and diseases and for treating and caring for persons with such infections or diseases, (iv) medical inspection and treatment of pupils, (v) services relating to contraception, (vi) health promotion services, (vii) services in connection with drug and alcohol misuse, and (viii) any other services which the Secretary of State may direct. In future, a CCG will only be responsible for persons provided with primary medical services by a member of that CCG and those who usually reside in the CCG area (Clause 10(3): new section 3(1A)). Temporary residents, visitors, and workers not on those lists will not be covered. Regulations can be made to extend this (new section 3(1B)), and those regulations must cover everybody in the CCG area as far as facilities and services for emergency care are concerned (new section 3(1C)). Regulations may provide that some persons can be excluded from CCG responsibility, including those provided by a particular type of primary medical services (new section 3(1D)). We have a number of concerns with new section 3(1A) – (1D), which we have set out in the form of questions in our Recommendations at the start of this Briefing. Fourthly, we are concerned that services currently considered part of the health service by PCTs (under direction from the Secretary of State) will in future not be considered as part of the health service by CCGs – namely the six services and facilities referred to above for pregnant women, women who are breastfeeding, and young children, and for the prevention of illness, the care of persons suffering from illness, and after-care. If a CCG so decides, these might fall out of the health service. This would mean that the qualified guarantee of free access in section 1(3) would not apply, and so charges could be made for services that are currently free. This possibility arises because Clause 1 would amend section 1(3). At present, section 1(3) of the 2006 Act reads: “(3) The services so provided must be free of charge except in so far as the making and recovery of charges is expressly provided for by or under any enactment, whenever passed.” We have recommended at the start of this Briefing that a question is asked to clarify the situation. We are very concerned indeed about the particularly opaque nature of the interface of Clause 10 and Clauses 8 and 9. Under Clause 8: new s.2A, the Secretary of State would have a duty to take appropriate steps for the purpose of protecting the public in England from disease and other dangers to health. However, no services must be provided for these purposes. Rather, such steps may include providing certain services (such as microbiological. vaccination, immunization and screening services) and the conduct of research and training. It would appear therefore that services which the Secretary of State must provide currently in accordance with section 3, such as immunization and screening services, would fall out of section 3 and into new section 2A. However, post-Bill these services would be equally capable of falling within section 3 (e.g., vaccinations of young children). The interface between Clause 10 and Clause 8 therefore needs to be clarified – not least because new charging powers are being sought by the government for Clauses 8 and 9 (in Clause 47). Under Clause 9: new s.2B, each local authority must take appropriate steps for improving the health of people in its area, and the Secretary of State may take such steps for improving the health of the people of England. Again, no services must be provided for these purposes. Rather, such steps may include providing certain services, such as for health promotion and for the prevention of illness. Earl Howe has stated that “Whilst local-authority commissioned services will not be part of the NHS, they will be part of the comprehensive health service which incorporates both public health and NHS functions” (letter to Carline Lucas MP, Annex A, 19th October 2011). Again, it would appear that services which the Secretary of State must provide currently in accordance with section 3, such as for health promotion and prevention of illness, would fall out of section 3 and into new section 2B. However, post-Bill these services would be equally capable of falling within section 3 (e.g., health visiting). The interface between Clause 10 and Clause 9 therefore also needs to be clarified – again not least because of new charging powers under Clause 47. People who understand (as well as people who are simply mad as hell about the Tory vandalism) see the awfulness of what Lansley is STILL proposing. How many of this present government have private health care provision for themselves and their families? If they do how do they pay for it and how much? Do they have to declare their use of this private healthcare?